Moving from a house to an apartment is usually based on the idea of downsizing. No matter how hard moving to a smaller place may seem, you should know that this transition can be beneficial for you for multiple reasons. People usually decide to move from a house to an apartment due to the financial difficulties or lots of unused space. Can apartment living actually make you happy after you’ve spent decades living in a spacious house? 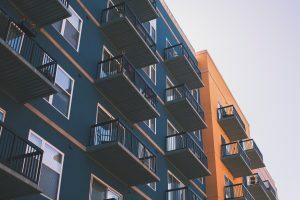 Whether your decision to move to an apartment is driven by an unfortunate set of circumstances or your personal needs and requirements, you should consider all the advantages of apartment living. – Apartments happen to be more affordable than houses. Being less expensive to buy/rent and keep, apartments are a perfect option for those who tend to save money on monthly expenses. Also, smaller apartments seem to be more appealing due to reduced utility bills and lower rents. – Apartments are easier to maintain. As a tenant, you don’t have to worry about any faults or malfunctions in the apartment. Just make sure to report the problem to the landlord, whose responsibility is to find someone who will do the repair works. Also, since you will have less available space, cleaning will be much easier too. If you leave out the gardening, you will realize that the upkeep requires less time, money and energy. Household chores will be reduced since attic and basement are out of the picture as well. As a result, you can think of some productive ways to spend your free time, because you will have it more than before. – Residential buildings tend to be safer than houses. They are constantly monitored and equipped with the proper security system. – If you are looking for a short-term housing or planning to move out from your parents’ home and start an independent life, renting an apartment instead of a house is ideal. Before you decide which housing option works best for you and your family, you should also consider the other side of the coin. There are also some disadvantages of apartment living, which you should keep in mind before making the final decision. – Restricted living and parking space seems to be an obvious drawback, which can turn into an issue when you are organizing a gathering at home. Although you have an assigned parking space, your visitors might have trouble finding one. Also, if you are having a party, make sure to notify your neighbors in advance. Otherwise, you may get some excessive noise complaints from your neighbors who may also have the police involved. – It’s hard to ignore problematic and noisy neighbors, especially if they live next door. – Restricted outdoor space is one of the first things that you will notice when you move from a house to an apartment. Lack of garden, backyard, front yard, porch and other house features and amenities is something that your children and pets will yearn for the most. – If you are renting an apartment you should know that you won’t be allowed to personalize it according to your preferences. Talk to your landlord before you move in order to figure out whether you can paint the walls with your favorite color or not. – When moving to an apartment make sure it’s a safe and pet-friendly environment for your four-legged friend. You need to make sure that everyone feels comfortable in a new place before you actually sign the lease. Your lifestyle, personality and current needs and financial situation will mostly determine your choice. Assess all options carefully and choose one that suits you best.